OPINION: Is Collegiate MMA a Viable Concept? By: Albert Cameron – In this day and age, there is a collegiate club or team for just about every sport or activity you can think of. In State College, PA, there is a store directly across from campus that sells apparel for the majority of those clubs. Right behind the register, you can see t-shirts and hats for the Penn State Wrestling team, Boxing team, Lacrosse team, Swimming team, Rowing team and a host of others. It’s understood that a few of these organizations are “clubs” with no official University sanction, but just about any athletic endeavor has a team of students that compete, intramurally or otherwise. State College, PA is your prototypical college town. We have a fantastic football program with fanatical devotion, we have student organizations that will not be stopped in their philanthropic efforts and we have a student population that comes from just about every corner of the country (and globe). In State College, PA, Mixed Martial Arts (MMA) is extremely popular. The social establishments carry the Ultimate Fighting Championship (UFC) pay-per-views for a nominal cover charge and UFC apparel can be spotted regularly. 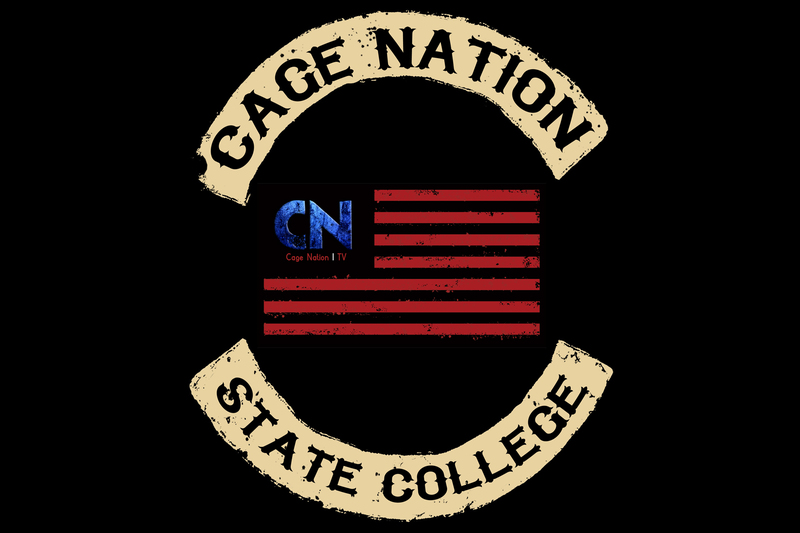 In fact, State College has three gyms that have produced fighters that we all have watched fight in regional cages. Central PA MMA has produced Dan O’Neil (CDMMA & Gladiators of the Cage veteran), Team Titan PA has produced Ethan “The Wolverine” Goss (CDMMA, Gladiators of the Cage & Pinnacle FC veteran) and Momentum Fitness has produced Osahon Omo-Osagie (CDMMA & Pinnacle FC veteran). Penn State University has satellite campuses, including Altoona where Dignan-Brumbaugh MMA and Genesis MMA call home. With Pennsylvania and most other states in the Union accepting the Unified Rules of MMA and having similar amateur standards, it seems like now might be as good of time as any to have MMA adopted collegiately. I have an idea as to how I think collegiate MMA would work, similar to how collegiate wrestling and boxing function. Do any of you remember the International Fight League (IFL)? How about Rickson Gracie’s Mestre De Combate (Master of Combat)? I believe that I am still in the minority that believes that team-based MMA can work, especially in a collegiate setting. Wrestling is team-based, Boxing is team-based; despite being person-on-person combat sports, they both have a combatant at each weight class who is ready to take on an opposing combatant at an equal weight. Thanks to collegiate sport coverage, it would be no secret who the starting fighters would be. Let’s say the Penn State Nittany Lions were to meet the Pitt Panthers in a collegiate MMA bout, you’d have a great idea which light-heavyweights would be doing battle. Collegiate MMA may even be a more controlled environment (and thus more appealing to State Athletic Commissions) because there would be a tenured coach who would be directly responsible for the training and polishing of their fighters. I’d like to tell you that I’ve never heard of a fighter practically walking off the street and faking his credentials, but I have. I really believe that the Pennsylvania State Athletic Commission has already poured the foundation for how collegiate MMA would be contested. Fighters have to wear kick pads, heavier gloves and have more restrictive rules that still maintain the spirit of MMA. With MMA being the versatile sport that it is, collegiate MMA could be fought in a cage or a boxing ring, making the whole concept much easier for athletic authorities to digest. I’ve heard similar arguments for MMA being included in the Olympics; the conversation always steers to “well, it wouldn’t be MMA, it would be more like Pankration.” No, that doesn’t work; it has to be MMA, that’s the point of the competition, especially in American universities. Our combat sport culture has welcomed and adopted Muay Thai, Western Boxing, Judo, Braziliain Jiu-Jitsu and Wrestling as the facets of MMA. Pankration is similar, but different and the whole concept would be lost and abandoned. Let’s talk economy for a second. We all know that money is finite in any given area and that the whole idea behind marketing and sales is to encourage and redirect the flow of that finite money supply in a different direction. Collegiate MMA would be an event that the public would pay money to get into, concession sales go up and team merchandise would be purchased. As much as amateur and collegiate sports are about fair competition and supplementing the learning process, there is an economic benefit to participate. It’s why alumni buy season tickets and box seats for football games, why they donate to alumni associations and why college football jerseys are as available as they are. MMA stopped being a spectacle sport and became a legitimate sport a long time ago. When UFC prospects are getting signed to large contracts and with Bellator restructuring to become a major player again, it would only make sense that a collegiate platform would be an “in” to the major leagues. When American Football was reaching the new heights of popularity, how long did it take for collegiate football to become embraced and the go-to avenue to make it to the NFL? Baseball is the same case in a way. The question begs to be asked again: is Collegiate MMA a viable concept? I can’t say for certain. I think it works, but I’m only a member of the press, I have no expertise on how collegiate sports work. I could sit around and postulate on how two people flicking lit cigarettes would be a good idea, but it doesn’t make me right. I can tell you for certain, if collegiate MMA ever does become a thing, I will investigate season tickets before I do anything.